I'm Cathryn Holt. In 2013 I married my best friend and I retired early. We purchased a home and suddenly this ex-work-a-holic was up to her neck in spaces that needed decorating. And not wanting to tap into my retirement I fell in love with HGTV and several magazine subscriptions. I purchased a drill and I stared at it for nearly a month until I got the courage to use it. My first project was to install shelves in our master bedroom closet. Now I cannot put it down. My second love is painting furniture. I love to chalk paint so much that I made up a song about it. Here is my latest chalk painting project. Click to watch my DIY video. In 2014 I started my you tube channel - Amateur Decorating Like A Pro. Wow! Over 500,000 viewers have watched my channel. I upload weekly videos. The title of my blog and channel simply describes my courageous attitude to make a house into home for my family. And it is to inspire others to draw from their creativity inside and around them. Click the picture and you'll be directed to my channel. 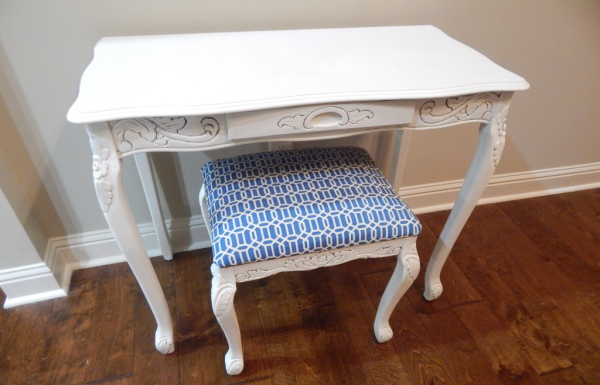 Most of the items in my home are furniture and home decor pieces that I have designed or created with the help of a paint brush or staple gun. I love to window shop furniture and home decor stores. And then it is off to the craft stores, hardware stores and Dollar Tree for the supplies to recreate what I've seen. 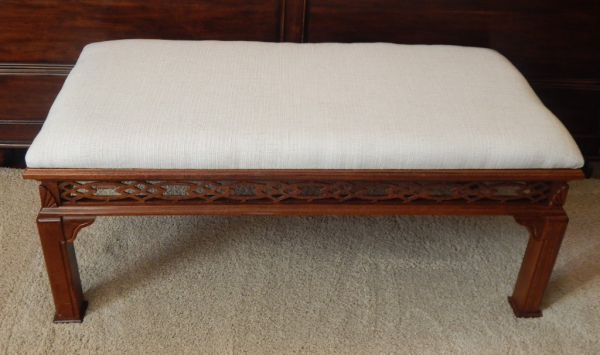 Below is a bed bench that was actually our old coffee table. That's the fun part - being creative! Click the picture to see the DIY video. I love to visit Antique Malls, Estate and Yard Sales. My thrift store addiction takes me into some unique places for great savings. I am currently collecting blue and white porcelain. Thank you for coming along on my journey .